On 15th April, it was began of the series of social practice and cultural experience activities II of “Reading China, Reading LNTU” as the theme which was the activity of the exchange between Chinese and foreign teachers and students trans-campuses. 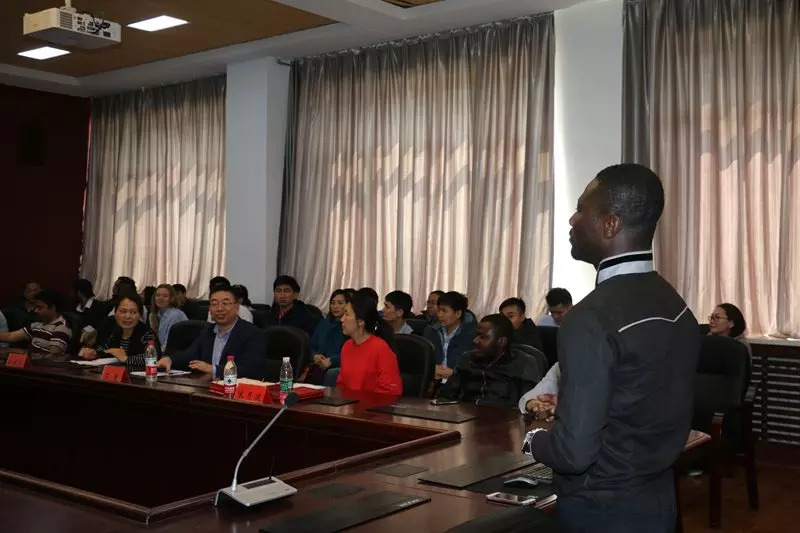 At 10:00 AM, there were no empty seats in the conference room of the College of Business Administration, Yun Hui Building ,Hu ludao campus and it was officially began of the activity of the exchange between Chinese and foreign teachers and students trans-campuses. The vice director of the College of Business Administration Prof. Li Naiwen, the teacher of the Office of International Exchange and Cooperation Su Guo, more than 30 foreign students and the teachers and the students of the College of Business Administration nearly hundred people attended the meeting. The students’ representatives MICHAEL、MUHAMMD、Pei Wenyuan introduced the history, religions, society development, traditional culture and others of Ivory Coast, Pakistan and Vietnam from different views by using the PPT and the video. 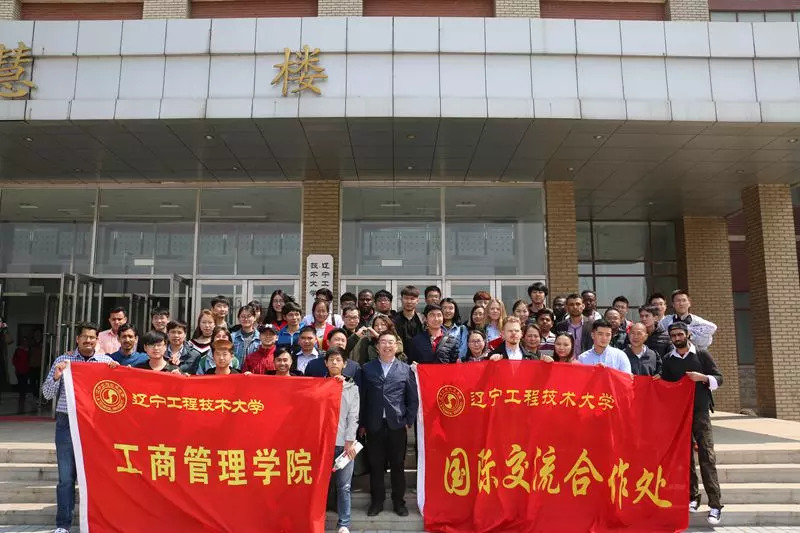 The vice director of the College of Business Administration Prof. Li Naiwen focused on the majors setting, discipline development, foreign students training of the college and so on. At the meeting, Chinese and foreign students spoke their minds and exchanged their learning methods and experience from each other. The director Li and teacher Su also presented the prizes to the winner who have won on the competition of the foreign students’ Pen Calligraphy last week. During staying in the Hu Ludao campus, the foreign students also visited the students canteen room, the classroom and the dormitory, had an informal discussion and communicated with the teachers and students of the campus together, and it looked so happily to the teachers and students from the different countries and culture backgrounds. It not only showed the mien of the foreign students to make them to go out of their classroom , expand their vision and to understand Chinese history, culture and custom through the activity of the exchange between the Chinese and foreign teachers and students trans-campus ,but also increased the foreign students a sense of honor and belonging as a member of the Liao Ning Technical University though the social practice and cultural experience activities. 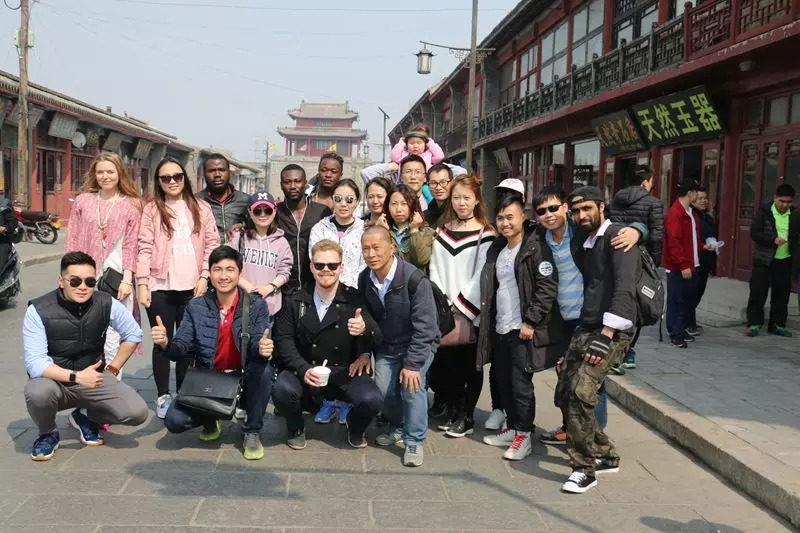 It made the foreign students to experience the connotation and the driving force of the Chinese—style development more intuitively by contacting and understanding of Chinese society and people’s lives.